From the staid to the sensational, contemporary lighting brings a sense of elegance and ritual to your entry hallway, corridor, stairwell or foyer. 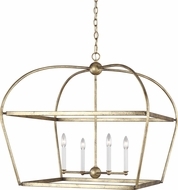 Products feature ornate frames, hanging urns, flower leaf patterns and brass trim. 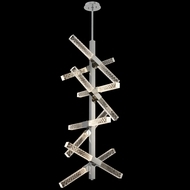 Some of the contemporary glass features include Scavo Glass. 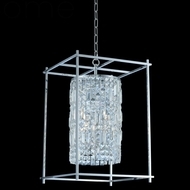 Venetian glass, alabaster, candelabra fixtures, large chandeliers and antique seedy designs are also available. 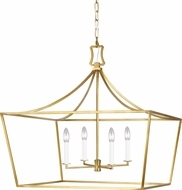 Wrought iron, brass and Spanish crackle add the necessary support structures, as these impressive entryway fixtures suspend high. 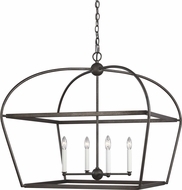 Whether your entryway is Renaissance, Gothic or Mediterranean, modern foyer lighting will add the opening you need to present to your guests the rest of your home d�cor. Whether you are looking for large chandeliers, or smaller modern fixtures, Affordable Lamps offers many options to choose from. 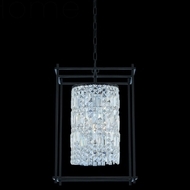 Buy the best fixtures to add a bright yet elegant touch to your entryway. 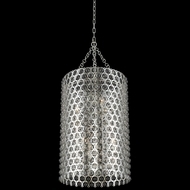 Lights give homeowners a unique way to showcase their style whether it is more traditional or contemporary. 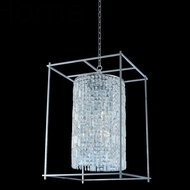 These can add a nice finishing touch to your entryway and are available in a variety of shapes and sizes. 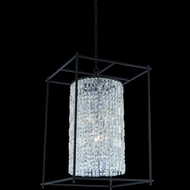 We are sure to have the right inexpensive entryway fixtures to meet all your needs. Whether you are looking for foyer lights or largeer foyer chandeliers, our great prices will ensure you can buy the entryway lighting you need for your home.